Emojis are everywhere. Windows 10 is no different. Along with several different features, Microsoft is working really really hard to add new emojis to every new Windows 10 release. However, if you've ever tried to open the emoji panel you might have seen that there is no visible way to launch the emoji keyboard. In fact, you can't even search for it in the start menu. 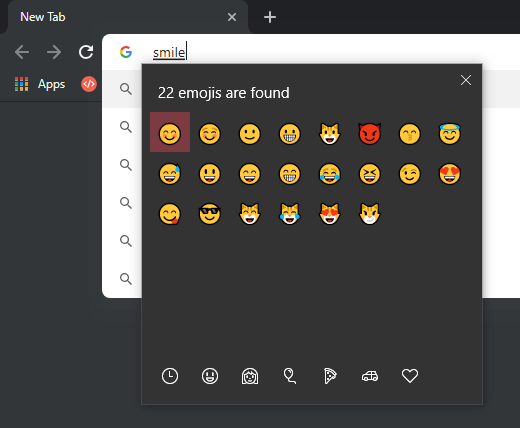 If you try to search for emoji panel in the start menu, all you will see is "Emoji panel settings" which lets you configure or change the emoji panel behavior on Windows 10. 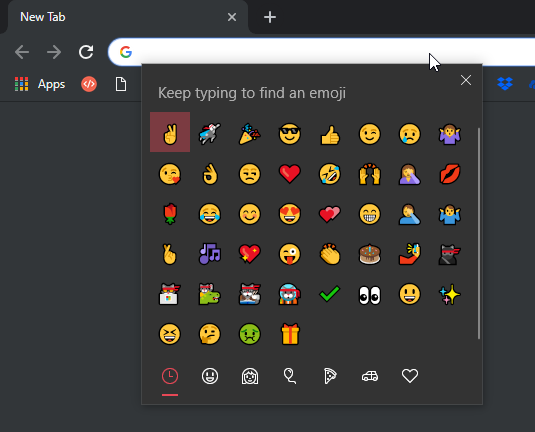 Unless you know where to look for and what to press, it can be quite hard to open emoji keyboard on Windows 10. Thankfully, it is quite easy to open emoji keyboard. So, without further ado, let me show you how to open emoji panel on Windows 10. 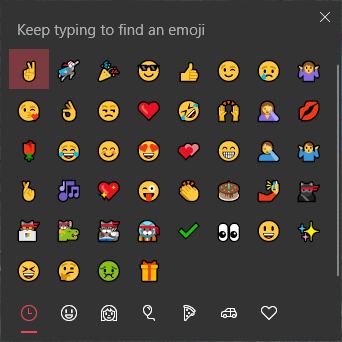 To open the emoji panel on Windows 10, all you have to do is press the keyboard shortcut Win + .. Alternatively, you can also use the keyboard shortcut Win + ;. As soon as you press the keyboard shortcut, the emoji panel will open. You can double-click on any emoji to use it. Provided that the cursor is active in an input field or text entry area, like the browser's address bar, the emoji will automatically appear in that field 👍. Of course, by click on the emoji icons appearing at the bottom navigation bar, you can move between different emoji categories. The best thing is, as you type, the emoji panel can show you relevant emojis based on the word you type. That is all there is to do and it is that simple to open emoji panel on Windows 10. If you like this article, you might also like to learn how to check if Windows 10 activated properly and how to change desktop screen brightness on Windows 10.